Worksheet to practice using multi-meaning words. 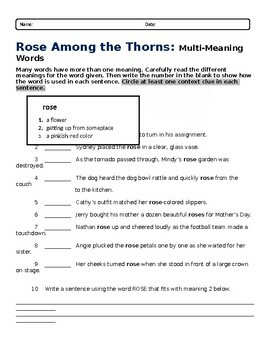 This worksheet focuses on the word ROSE with three different meanings. 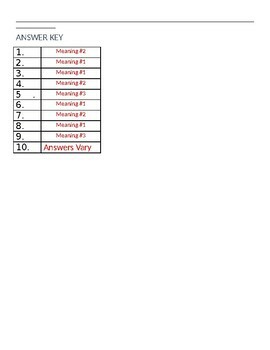 There are 9 sentences to practice determining which meaning of ROSE best fits each sentence. Then, they create their own sentence using one of the meanings.